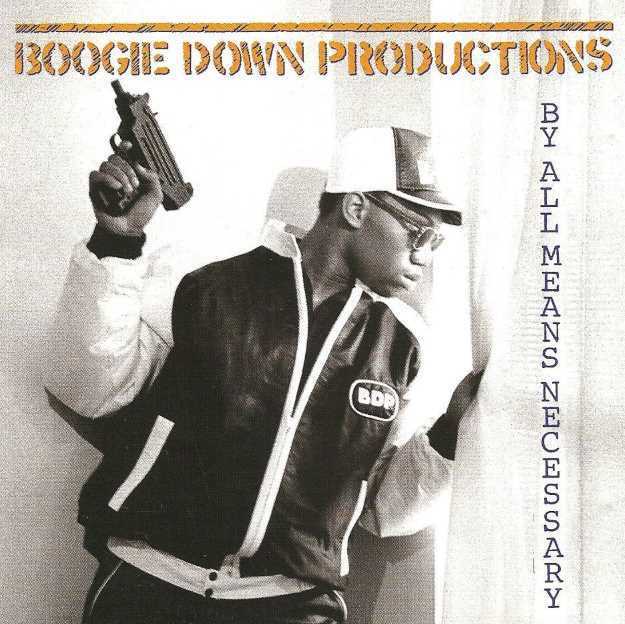 Today In Hip Hop History: Boogie Down Productions’ “By All Means Necessary” Album Turns 30 Years Old! KRS-One was initially popular for fueling the Juice Crew vs. BDP beef on wax and expanding intellectual Hip Hop music through 1987, with the release of Criminal Minded. However, when BDP’s DJ Scott La Rock was shot and killed in the South Bronx, it had a profound effect on the Brooklyn native, which resulted in a drastic rethinking of his on-record persona. By All Means Necessary was one of the first albums the group made after Scott La Rock’s death that would have a lasting effect on generations to come. The “Blastmaster” began to talk about a lot of the issues that were plaguing the black community like police brutality, government corruption, institutionalized racism, and later on giving birth to his “Stop the Violence” Campaign. As a plea to end violence in Hip Hop, which still hasn’t been heeded to this day, KRS-One took on the role as the spearhead of Hip Hop’s Stop The Violence Movement, choosing the single, “Self Destruction”, as the lead single. With classic tracks like, “Nervous”, nearly every track on the album had a distinct narrative, and even the album cover art and the theme were Malcolm X (By Any Means Neccessary) inspired. On the track, “Jimmy”, the rapper became the first rapper to speak on the AIDS/HIV epidemic that plagued Black and Brown communities in America. On the song, “Illegal Business”, Kris gave the masses a startling perception into the drug trade and how it corrupts the police and the government. Salute to KRS and the entire Boogie Down Productions crew for giving us this epic piece of Hip Hop history!